Water is a precious natural resource that’s used in a variety of ways in our daily lives. 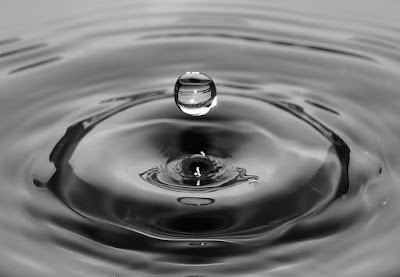 According to the United States Geological Survey, the average person uses about 80 to 100 gallons of water each day for regular tasks such as bathing, drinking, and waste disposal. Some governments choose to limit the flow of water per minute. Rainwater harvesting, where legal, allows others to contribute to the solution by lessening their dependence on the local municipal water supply. Rainwater harvesting is the process of collecting rainwater from the surface on which it falls and storing it for later use. 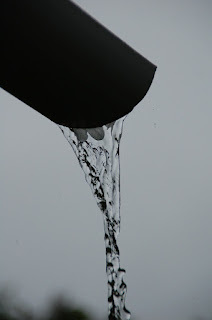 Usually, the rainwater is collected from the roofs of buildings and stored in tanks. The gutters on a building directs rainfall to the tanks where it can be stored and later used for a variety of purposes, such as landscaping, wildlife and livestock watering, household use, and fire protection. While three-quarters of the planet is made up of water, not all of that water is suitable for use. According to the National Oceanic and Atmospheric Administration (NOAA), the planet’s five oceans make up 70 percent of the Earth’s surface and 97 percent of its water. Of the remaining three percent, less than one percent is fresh water while two to three percent is frozen in glaciers and ice caps. Between the lack of fresh water, and human consumption, there is a shortage of usable water available in many areas. Rainwater is free from most pollutants making it a free source of usable water, which is why rainwater harvesting is so important. 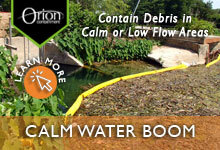 While rainfall is mostly clean water, it can pick up bacteria from the catchment, such as gutters, as well as the tank. Water held in many storage tanks can accumulate coliform, a bacteria that is frequently found in streams, lakes, ponds, and water tanks. Because it may host bacteria, much of it is not potable (safe for drinking or cooking) as-is. To use the water as a source for consumption, such as drinking or cooking, tanks with coatings and liners approved by the Federal Drug Administration (FDA) should be used, and should have a way to filter the water. Even if the water is not filtered and it remains non-potable, you can use rainwater to wash cars, windows, and water lawns. Using recycled water for these tasks can result in reducing your water usage by 40 percent, saving money on water bills. When watering a yard or garden with recycled water, savings is up to two gallons per can when using a watering can, five gallons per minute when using a hose, and 264 gallons per hour when using a sprinkler can be had. When washing objects, typical savings is about four gallons using a bucket and 142 gallons per hour when using a hose. There are several reasons that a rural water supply can be affected, including drought or more drain on the water table than can be naturally supported. Collecting rainwater and storing it in a tank will helps ensure that water is on hand when needed for residential or commercial use. Heavy rain can cause significant flooding in low-lying areas, or areas without proper drainage installed. If a building lacks the proper slope to direct water away from it, the water can collect in courtyards or patios, creating flooding which can be damaging. Rather than the expensive project of a creating a slope, this problem can be solved by having the gutters direct the water to a water storage tank for reuse. Most of the water used for plants reduces their ability to grow with the inclusion of salts, minerals, chlorination, and other man-made contaminants. 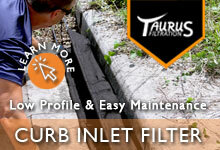 Rainwater is free of most pollutants when it falls and is still relatively clean when in proper storage. 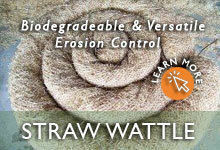 Irrigating plants with this naturally produced water may improve their ability to grow. Most rainwater harvesting systems are friendly to the environment because they don’t require the need for fuel-based machines. Roofs make for excellent catchment systems and the roof’s gutters can carry water to the storage tank. Since rainwater is already relatively clean, it can immediately be used for certain tasks, such as irrigation and watering gardens, without the need of filtration. If you have a roof and gutters, you already have most of the necessary components for an effective rainwater harvesting system. All you need now is somewhere to store the water. 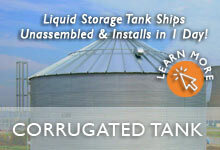 A popular choice for storing rainwater is a corrugated steel tank. As the rainwater runs off the roof, it flows through the gutter-based drainage system toward the structure. It then enters the tank, made of rust-resistant galvanized steel, where it enters the tank for proper storage. The overflow pipe ensures a safe exit for any overflow water once the tank is full. These tanks are often preferred to other sources due to ease of maintenance, life-expectancy, and its toughness as it can stand in winds of 95 miles per hour and through winter storms. 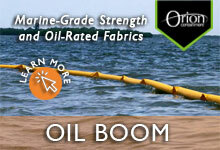 Their structural stability allows them to hold a wide range of sizes, ranging from 700 gallons to 100,000 gallons of capacity. 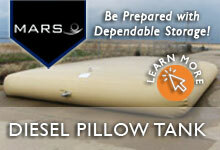 There are also other options for rainwater storage, such as pillow tanks, fiberglass tanks, and poly tanks. Corrugated steel tanks have the advantage of durability and lasting longer the other rainwater storage solutions. From drinking and bathing to irrigation, water is an essential part of our every day lives. 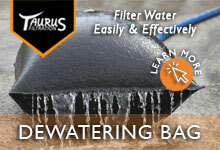 Rainwater harvesting is a way to increase the amount of water to be used in potable and non-potable ways. If you’re thinking of reaping the benefits of rainwater harvesting, a corrugated steel tank will allow you to safely store your collected rainwater for future use. For more information about acquiring corrugated steel tanks, call us at 772-646-0597 or email us at info@geiworks.com to get a quote today. There are two types of braking systems that are commonly included with water trailers; electric brakes and surge brakes. 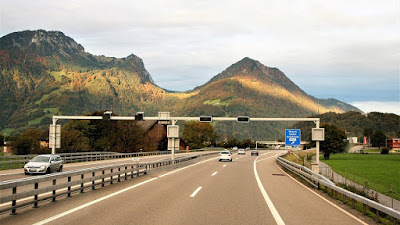 Both systems have advantages and disadvantages, with the main difference being that electric brakes are activated through an electronic connection to the towing vehicle and surge brakes are activated mechanically. While you may have heard of these systems, do you know what the differences are? Or how to decide between the two options? Let’s look a little deeper into these two braking systems. The electric braking system is managed through a controller mounted in the tow vehicle, usually located underneath the dashboard so the driver can easily reach it by hand or foot if needed. The system works through the vehicle and trailer’s wiring. Taking 12 volts DC from the towing vehicle’s electrical system, the electricity is sent back to the trailer to activate the brakes. There are two ways that electrical braking can be activated. The first is simply by stepping on the brake pedal of the towing vehicle. As the brakes are applied, the wiring activates the brakes on the trailer, causing the vehicle and trailer to stop simultaneously. The second way is through the manual activation lever or button, present with all brake controls. This allows the driver to manually send power from the towing vehicle’s electrical system to the trailer behind. How do Electric Brakes Work? A key component of the electric braking system is a magnet that is attached to the backing plate of the brake assembly. 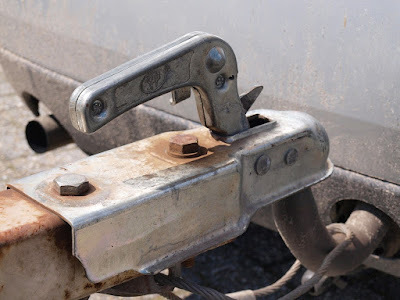 When the towing vehicle brakes, it sends electricity to the trailer’s braking system causing the magnet to become magnetized and attract to the drum face. This action causes the actuating arm to move through friction and pushes the brake shoe against the drum to cause the wheel to stop spinning. While electric brakes can be immediately applied by the driver of a towing vehicle, surge brakes are applied through a series of mechanisms and the use of centrifugal force. The neck of the trailer is two separate pieces. The front piece contains the hitch attachment, while the back half contains the braking mechanism. When the towing vehicle applies its brakes, the resulting motion causes the front half of the neck to slide into the back half. It then causes a rod to push into the master cylinder. This action forces fluid to the drum or disc brakes and stops the trailer. A wheel cylinder, located inside the brake, expands with the surge of fluid, pushing the brake shoe against the drum or squeezing the disc which stops the wheels. When the towing vehicle moves forward, the neck of the trailer extends, separating the rod and master cylinder and releasing the brakes. For the safety of fellow motorists, federal law requires that the braking systems of trailers must automatically activate should the trailer detach from the towing vehicle. In electric brakes, this is done through a battery-operated activator which energizes the electromagnets on the wheels and stops them from spinning. 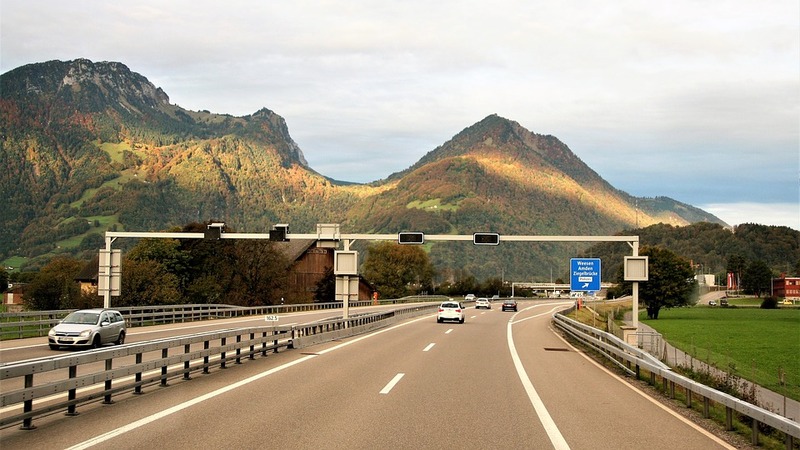 Surge braking systems include a mechanical cable or chain that is connected to the towing vehicle and activates the master cylinder, causing the trailer to slow and stop. Which Braking System Should You Choose? The braking system you choose depends on what factors are more important to you. Surge brakes are popular because the system is completely within the trailer, while electric braking systems require the installation of a controller inside the towing vehicle. However, electric brakes are often preferred for increased safety. With surge brakes, the towing vehicle must first brake before the trailer can causing a split second delay and requiring a longer distance needed to safely stop. Electric brakes allow the trailer to brake with the towing vehicle, making driving downhill and quick stops much safer, especially when towing larger capacity water tanks. There are two different types of brakes that can come with water trailers; electric brakes or surge brakes. These types of brakes each have their own advantages and disadvantages, with the right choice depending on your preferences. Knowing which brake system is right for you can assist you in making your water trailer decision. Questions? We can help! Call Us at 772-646-0597 or email us at info@geiworks.com to get a quote today! 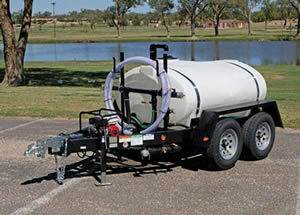 When operating a vehicle towing a water trailer, a common question is whether you need a commercial driver’s license. The answer to that question depends on factors such as the size of the vehicle, the size of the trailer, and what the trailer will be used for. We’ll take you through some of these requirements and why an 800 gallon water trailer might be the right size for your needs. Driving certain vehicles requires the acquisition of a commercial driver’s license to prove you’re capable of handling the size. Prior to 1986, states set regulations for driving commercial vehicles themselves. This created a problem when those vehicles crossed state lines, where there were potentially different regulations. 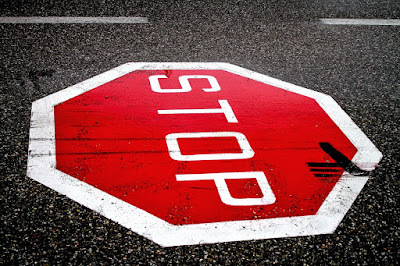 To solve this issue, Congress enacted the Commercial Motor Vehicle Safety Act of 1986 which set federal standards regarding these commercial vehicles. The United States Department of Transportation (DOT) defines a commercial motor vehicle as a vehicle used in commerce to transport passengers or property, if that vehicle and any towed is greater than 26,000 pounds. It also applies if the vehicle is towing more than 10,000 pounds. Additionally, if the vehicle weighs less than 26,000 pounds but can carry 16 people or more, including the driver, it is considered a commercial vehicle and requires the acquisition of a commercial driver’s license. There may be additional requirements for what constitutes a commercial motor vehicle, such as having more than two axles, so check with your individual state’s DOT if you have any questions. How Do You Know the Weight of Your Vehicle? In addition to the DOT classifications, most vehicles feature a sticker on the inside door that will tell you the GVWR. When Would You Need a Commercial Driver’s License? If you’re just hauling the water trailer around your job site or private farm, you won’t need a commercial driver’s license. However, if you use public roads to reach your destination, you’ll want to be prepared. While you may not take your trailer on public roads now, you may need to in the future. 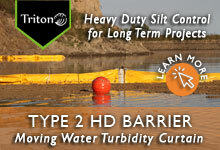 In that instance, you’ll want the highest capacity water trailer available that falls under the 10,000-pound amount. 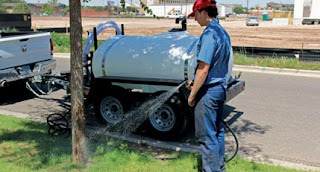 If you’re looking for a water trailer that’s large enough to handle all your watering needs but small enough to come in under the commercial vehicle limit, the Express 800 gallon water trailer may be the perfect size. Weighing in at 9,000 pounds when full, it’s the highest capacity tank fitting within federal guidelines for using a non-commercial license, and has just two axles, keeping it under the commercial vehicle definition by many states, which often includes three axles. With additional driving features like surge brakes, DOT-approved trailer lights, and diamond-tread fenders, it’s a water trailer fit for the road. Depending on the size of a water trailer and how it’s used, a commercial driver’s license may be required to haul it on public roads. Knowing the weight of your vehicle and the trailer being towed will help you determine whether or not this special licensing is necessary. If you’re looking for a trailer that’s large enough to haul the amount of water needed but allows you to transport on the roads without a commercial license, the Express 800 gallon water trailer may be right for you. 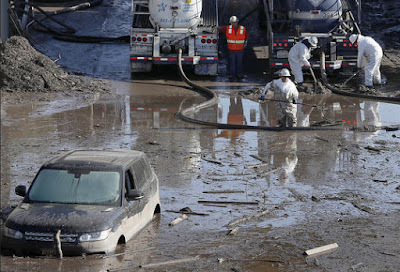 GEI Works Water-Hauling Experts are standing by to answer your questions! Call us at 772-646-0597 or email us at info@geiworks.com for more information – or better yet – get a Quote Today! This is the first part in a series on modern wildfires. We will cover the staggering and destructive wildfires in California that last year burned 1.3 million acres and close to 10,000 structures, most recently the Thomas Fire, which is the largest wildfire in California history. We will also discuss the future of wildfires—how they have been rapidly expanding in size over the past decade from many combined factors, including droughts, changing climate, population increases, and limited federal and state resources. California recently experienced its biggest wildfire in history, the Thomas fire, which spread to more than 280,000 acres in southern California, burning thousands of trees and over 1,060 structures. Igniting on December 4th, 2017, the strong Santa Ana winds caused it to rapidly spread. It has taken over a month just to contain the fire. Earlier this year, in October, northern California experienced its costliest and most destructive wildfires in history, adding up to over $9.4 billion in insured losses. And this fire season will not be an isolated incident according to experts and California lawmakers. Therefore, the future of wildfire control has no clear solution in sight, other than to prevent where possible and prepare where unavoidable. In recent years, a perfect storm of these factors has led to much bigger mega wildfires that cover greater acreage (many over 100,000 acres), affecting more people and at greater cost and cleanup. And the U.S. Forest Service has limited resources to prevent it. So, what exactly has caused the rise in these megafires? The increase in the number of mega wildfires has depleted the U.S. Forest Service's budget and resources for fire prevention measures. 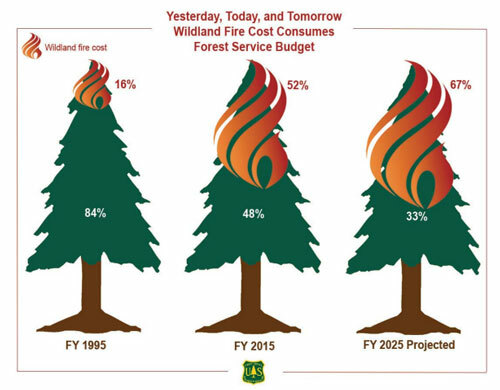 It is estimated that over 52 percent of its current budget is spent on fire suppression, up from just 16 percent of its budget a decade ago. That means it's using more of its budget to fight fires, rather than prevent them or minimize them. Firefighters use the Wildfire Behavior Triangle to estimate the potential severity of fires—they evaluate fuels, weather and topography. For example, during extended periods of drought, nature produces increased amounts of dried foliage and deadwood that act as tinder for potential fires. Weather predictions such as seasonal rain patterns are considered. The last part of the equation is a rating of the area’s topography, such as water sources, wind patterns, manmade structures, and natural physical barriers. Wildfires are not isolated to California. Wildfires also affect many other western states especially during the fall, including Oregon, Washington, Idaho, Wyoming, Montana, Wyoming, Utah, and Colorado. It also affects Florida in the spring. 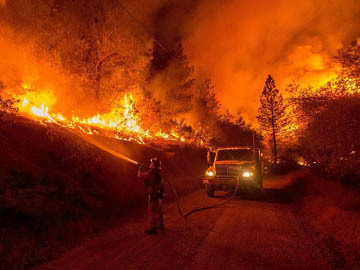 According to the U.S. Forest Service, the number of fires each year in the U.S. has not necessarily increased, it’s the number of total acres burned during each fire as well as rising costs. The statistics back this up. Before 1999, only 1 year had seen over 6 million acres burned. Since 2000, in 10 out of the last 17 years over 6 million acres have burned, including 2015 in which over 10 million acres burned. Before 2000, the average firefighting costs per year were less than $500 million. Since 2000, the average yearly costs over the past 17 years is over $1 billion, and 2017 exceeded over $2.4 billion, the highest on record. Preparation can make a difference. 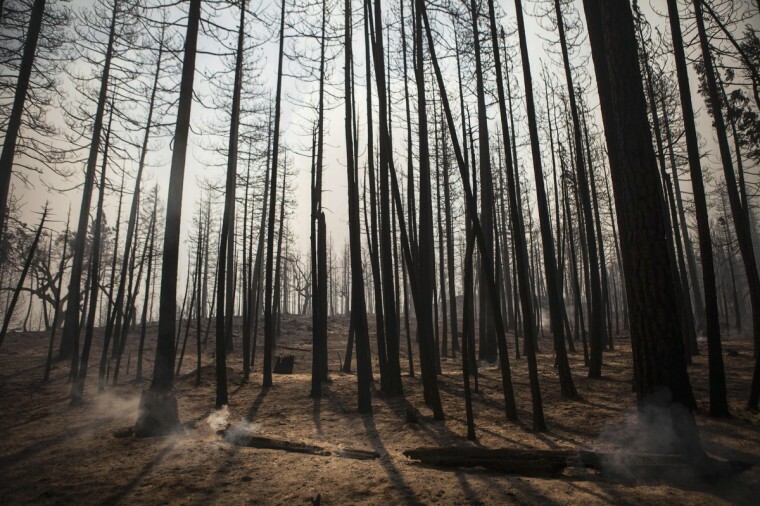 With wildfires being the “new normal” and the U.S. Forest Service resources stretched past capacity, homeowners, businesses, farmers and local government are taking their own measures. 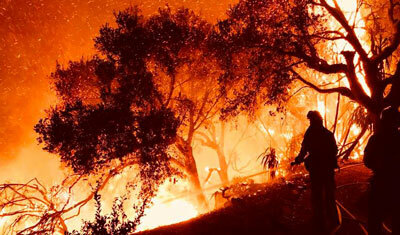 They are learning to prepare for wildfires, the way some states prepare for a hurricane. Since firefighting resources are limited during a wildfire, providing your own source of water could help to save your property. “Above ground water tanks and water sources that are accessible by emergency vehicles can help provide firefighters with water. Make sure signs or other markings indicate any water sources firefighters can use,” said Nick Williams, a fire resource forester and fuels mitigation program manager with the Wyoming State Forestry Division. 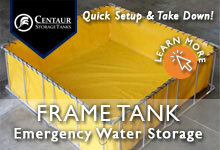 We offer several water storage product options you can use to prepare your home, business, neighborhood, or city. 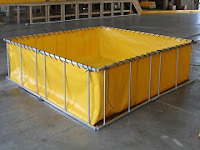 Pillow tanks can store water for long periods of time to provide fast access to large volumes of water in emergency situations. Frame tanks and onion tanks lie flat for storage and can be quickly set up in emergencies, so are often used by firefighting agencies where fire hydrants are not available or functioning. Our DOT Approved Water Trailers store large amounts of water and can be hitched to a truck for transporting where needed. 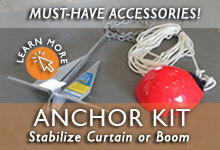 The attached spray bar and fire-hose provides a way to douse down a wide area. Corrugated water tanks and rainwater bladder tanks are also a good option. These tanks can be used to collect rainwater. That rainwater can be saved and used in case of drought to water vegetation or it can be used to spray down homes and properties that are vulnerable to an impending and quickly spreading wildfire. Firefighters can also use this water to help fight flames around your property. 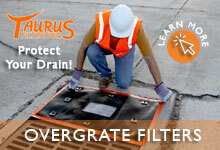 The California Rainwater Capture Act of 2012 makes it legal to collect rainwater. Some areas especially encourage it, such as San Diego which incentivizes with 50 cents per gallon rebates for rainwater collection. Preparation is especially important for rural areas, which do not have the nearby fire trucks and more abundant fire hydrants that urban areas have. Scott Jamar, a rural resident of the Santa Cruz Mountains, has a 5,000 gallon water tank, 150-foot fire hose, and propane powered pump for his property. His goal is to use the tank to water down his home, deck and yard during an approaching wildfire. “I don’t take it for granted that firefighters will quickly get here,” he said, “I take it for granted that they’re not going to be here. We can’t rely on infrastructure, so let’s try to be a little more self-sufficient and do what we can.” Once firefighters are able to reach his property, any remaining water can be used by the firefighters to douse the flames. This is just one example of taking preventative action as wildfires become an increasing threat. 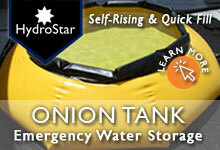 Preparing with water storage products can make a difference, one that can help you as well as aid firefighters. Please join us for the next post in the series. 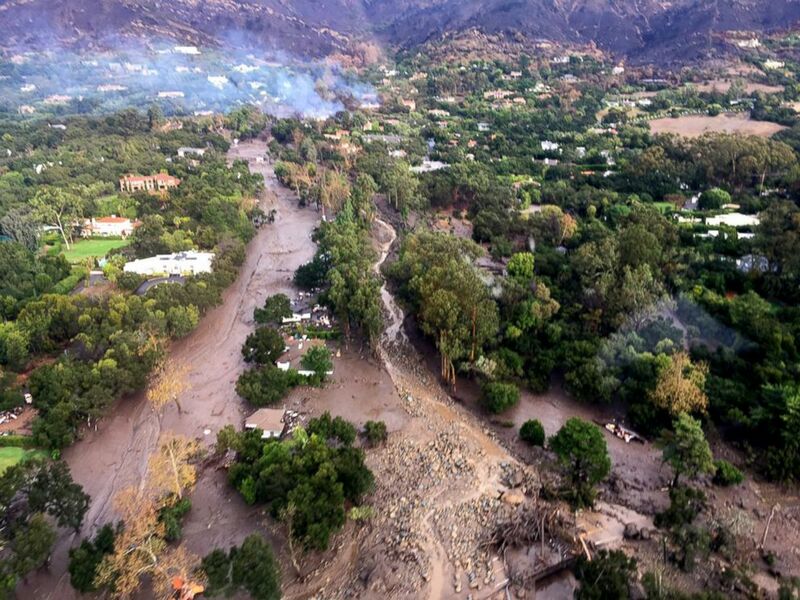 We will go over what happens after a wildfire has ended-- leaving behind charred, hardened earth—and how this affects soil erosion, water quality and flooding. 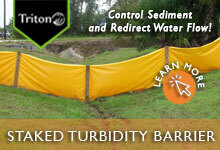 We will explain several erosion control procedures and products that can help you successfully mitigate the ongoing aftereffects of wildfires. 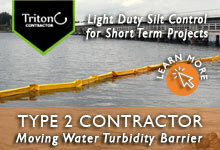 We offer many water storage solutions, and can talk you through any questions you may have. Whether you need it for your business, residence, or local city, these products can ensure you have extra protection from droughts and fires. 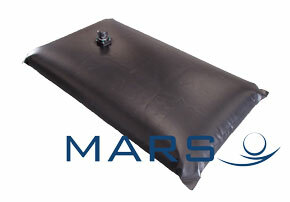 Mars Pillow Tanks and Rainwater Tanks are great for long term water storage. 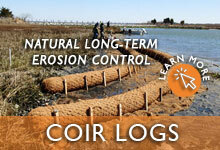 Since they are enclosed, they can store water large amounts of water in an outdoor environment. 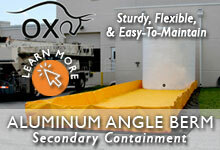 Also if they need to be transported empty, they are lightweight and can fold flat. The Centaur Frame Tank and Hydrostar Onion Tank can be stored flat, are easily transportable, and can be quickly set up and filled. They are often used by firefighters in remote areas. 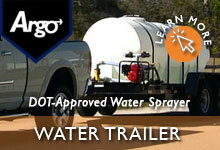 Argo Water Fire Fighting Trailers can store 500-1600 gallons of water. It is transportable and built with hoses, nozzles, valves and a spray bar for spraying down large areas. 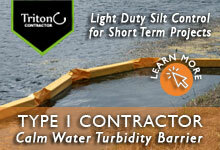 The Mars Corrugated Water Tank is a permanent, bulk water storage option. 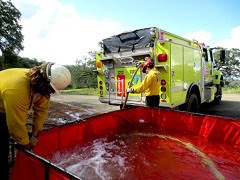 It can help meet demand where water is not freely available on an ongoing basis for firefighting use.